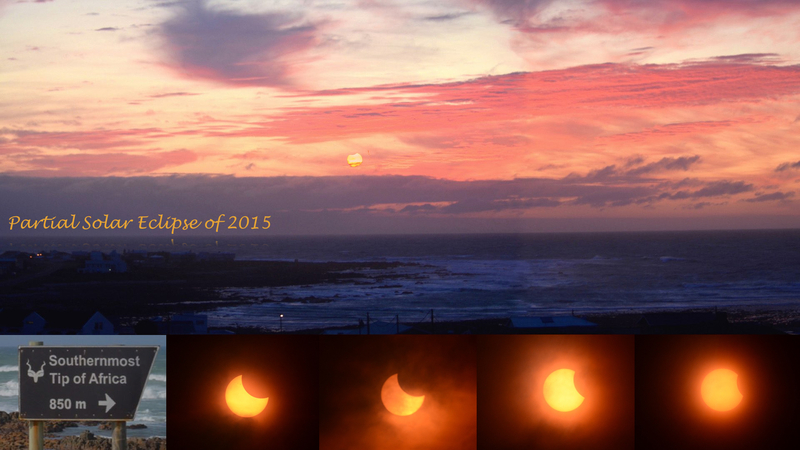 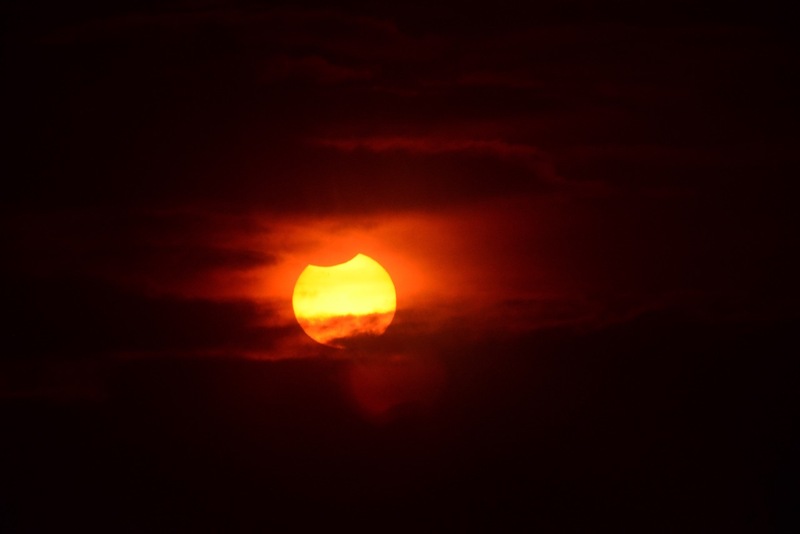 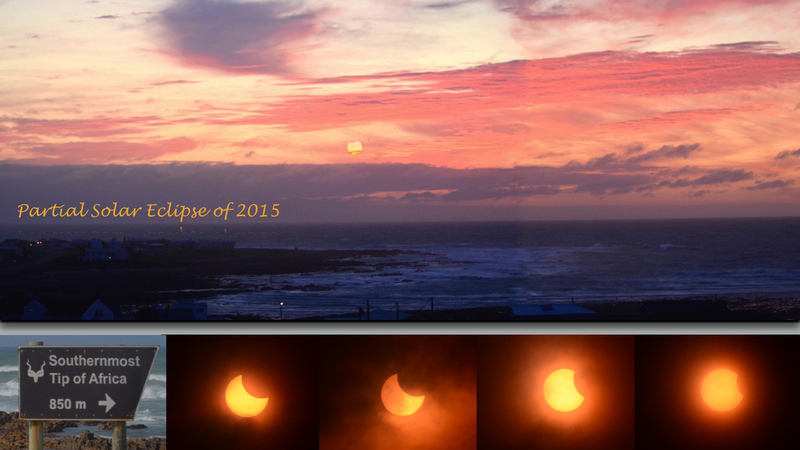 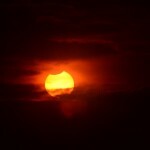 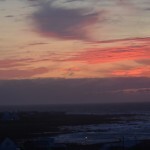 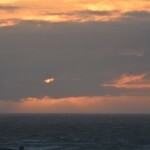 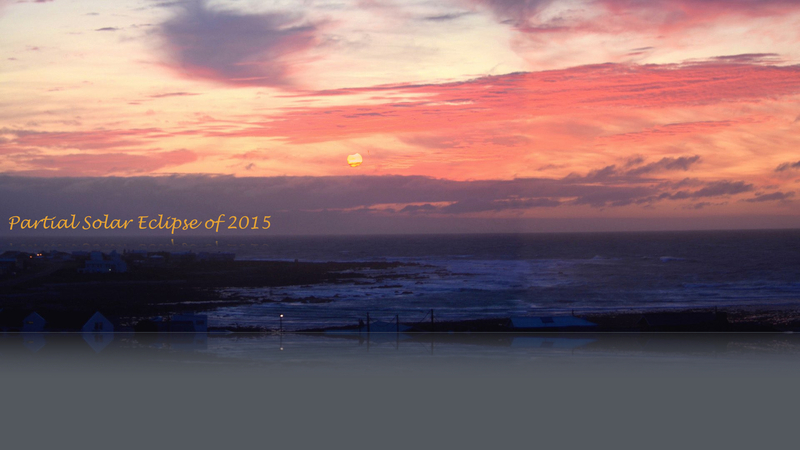 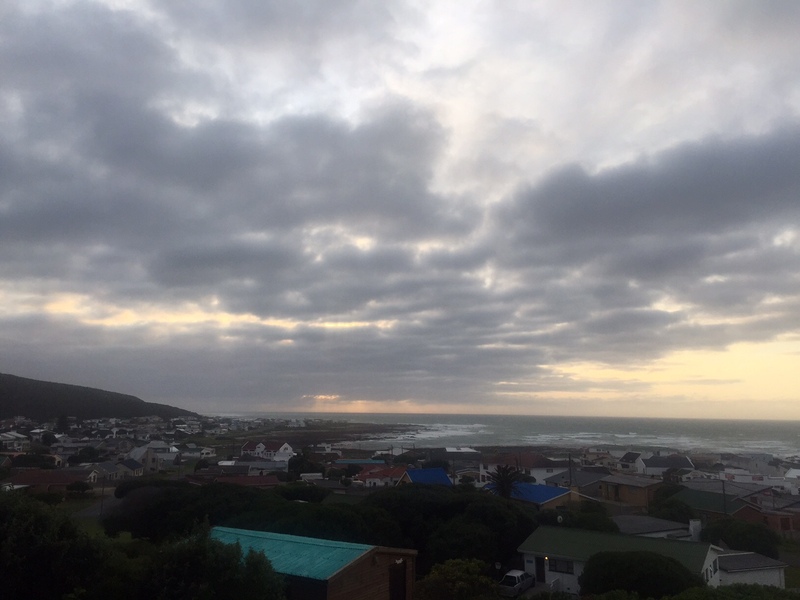 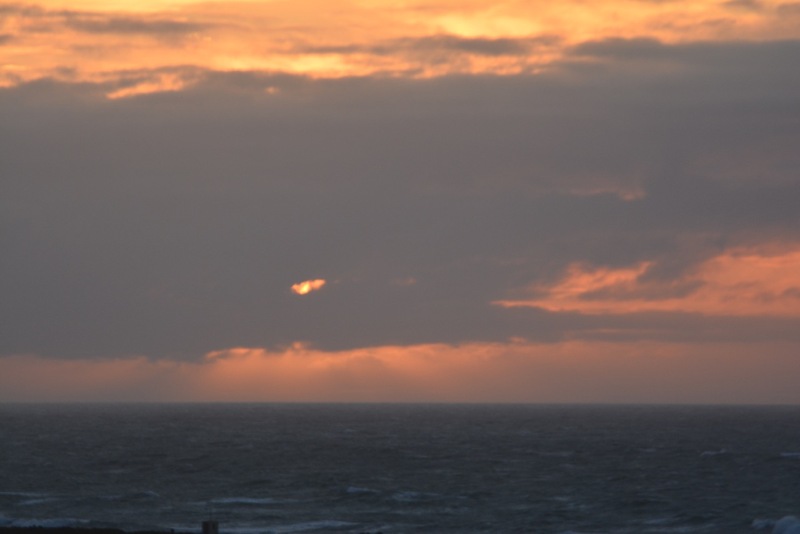 A set of photos of the September 13, 2013, partial solar eclipse photographed by Jay Pasachoff from L’Agulhas, the south point of Africa (where the Indian and Atlantic Oceans meet). 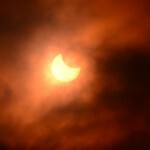 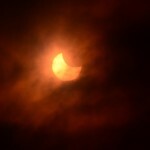 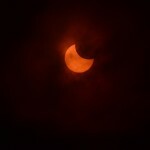 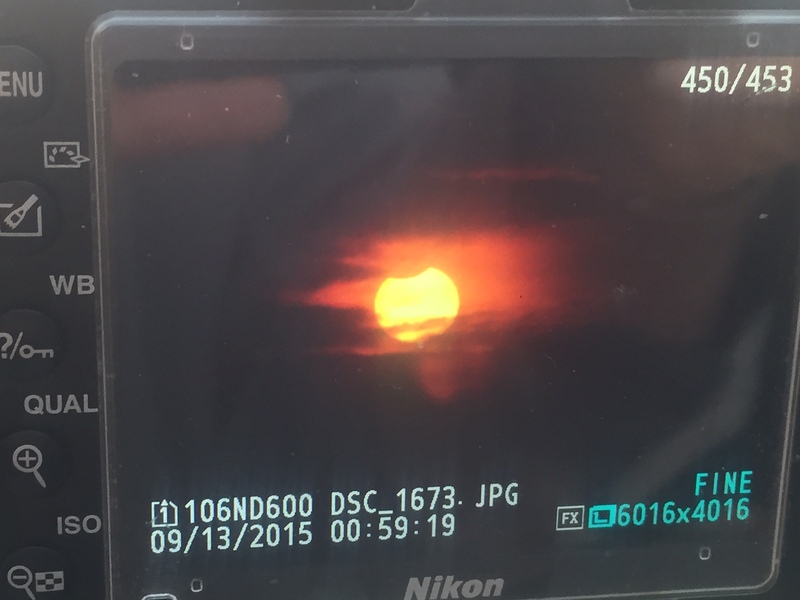 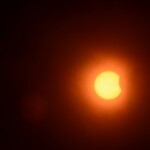 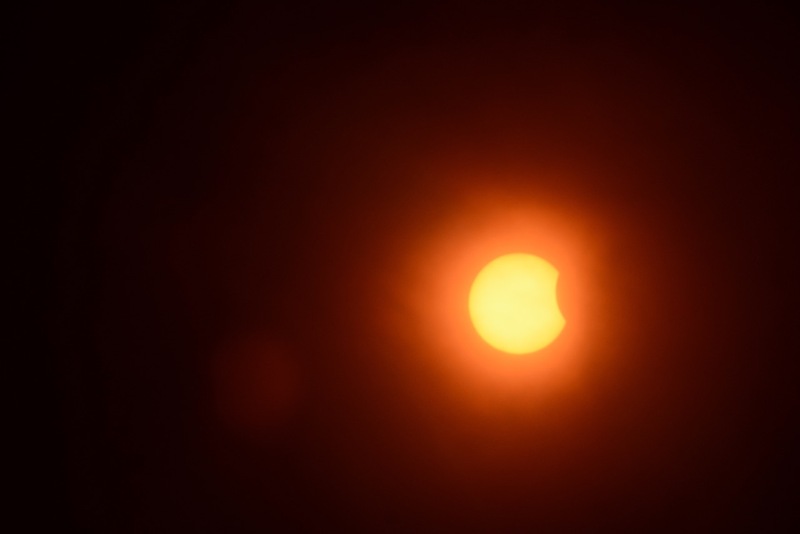  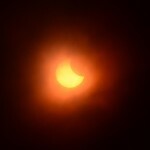 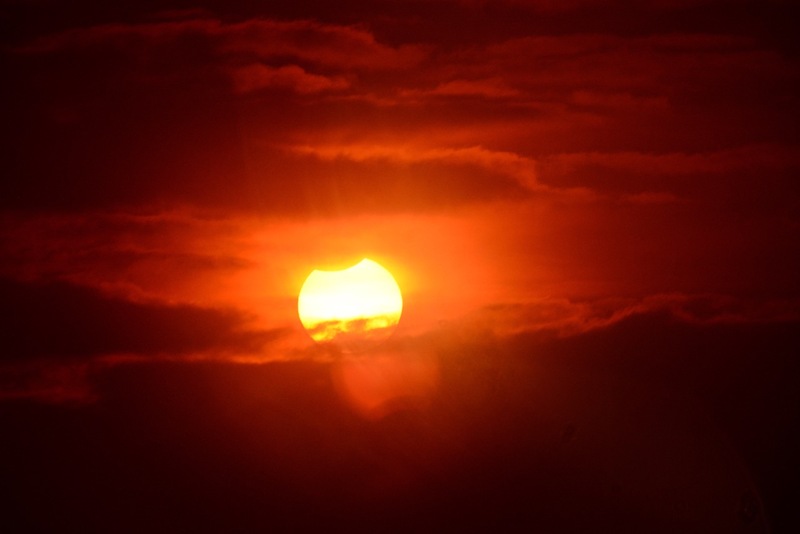 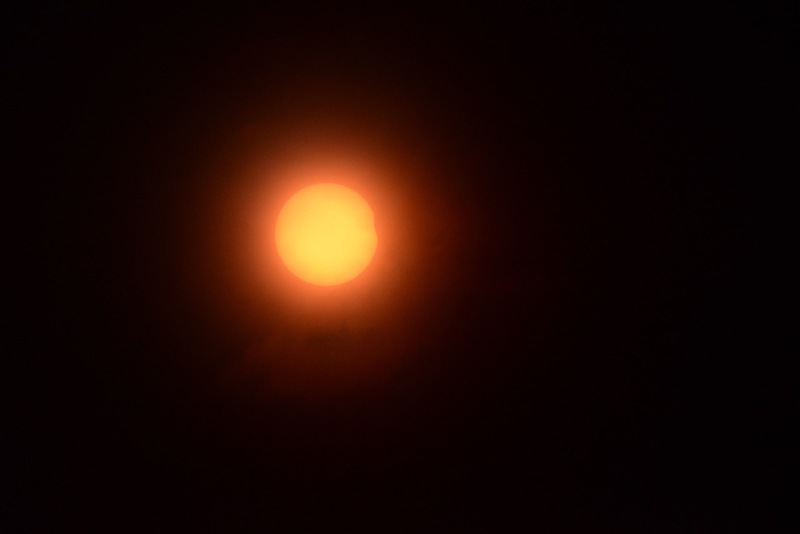 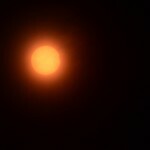 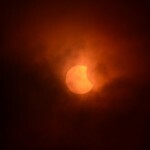 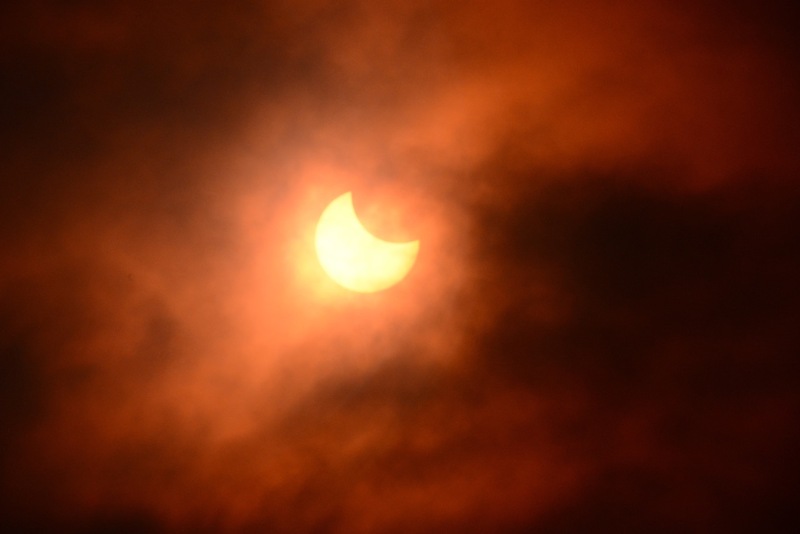 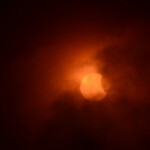 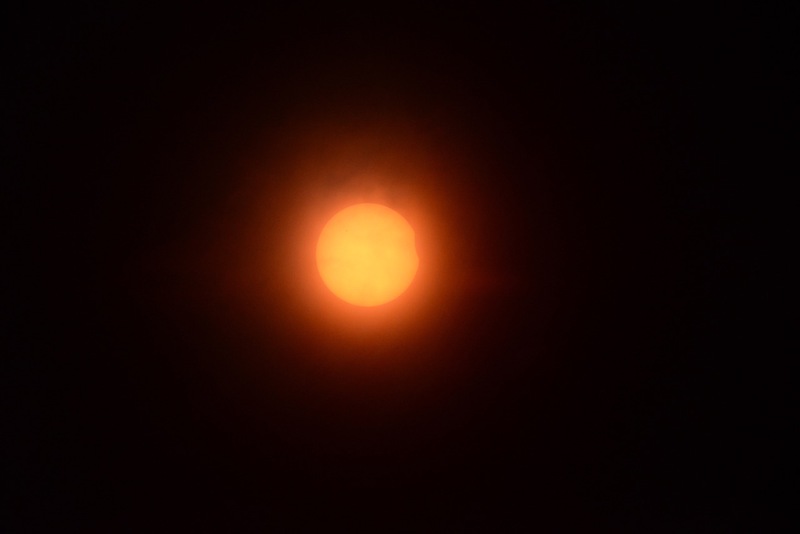 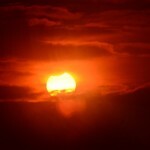 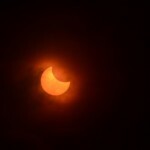 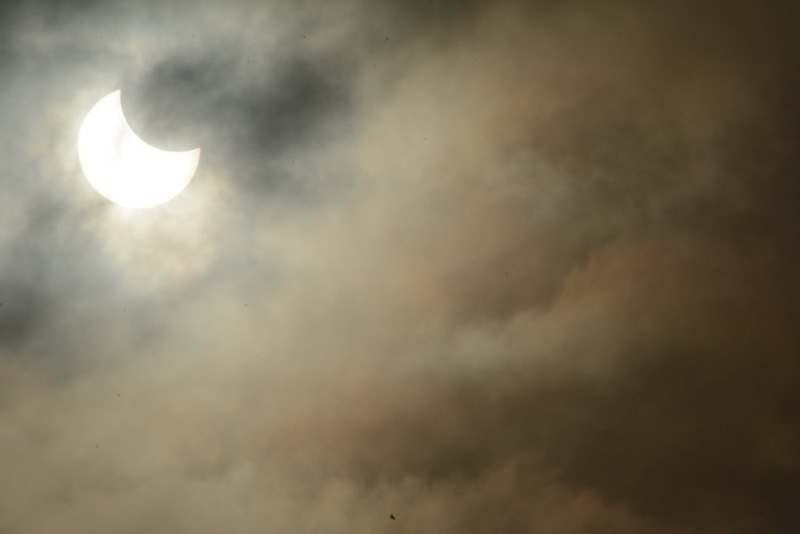 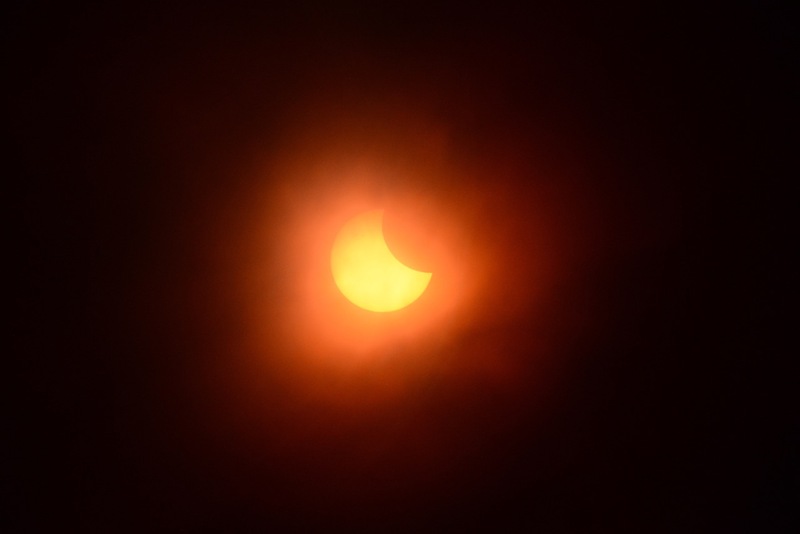 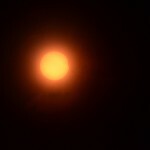 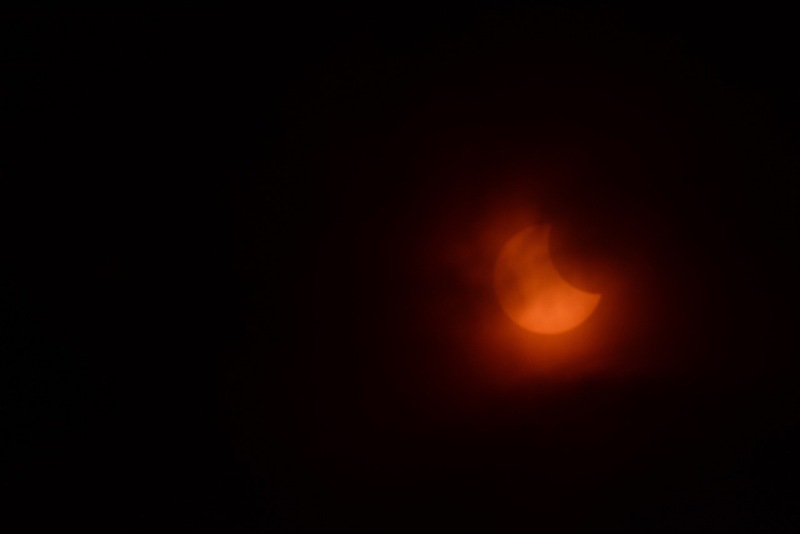 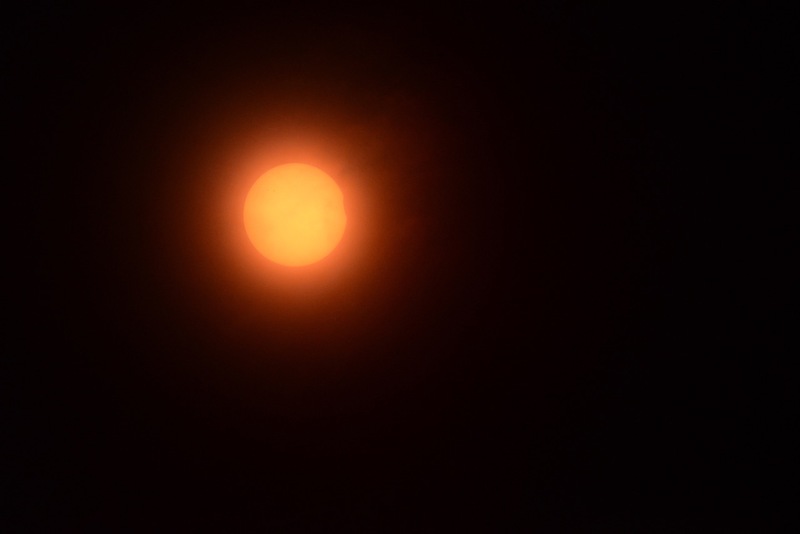 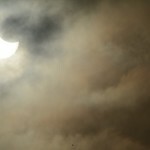 The photos were taken with a Nikkor 500-mm lens on a Nikon D600 camera through a Thousand Oaks Optical Co. solar filter (which passes only about 1 part in a million of the incident sunlight). 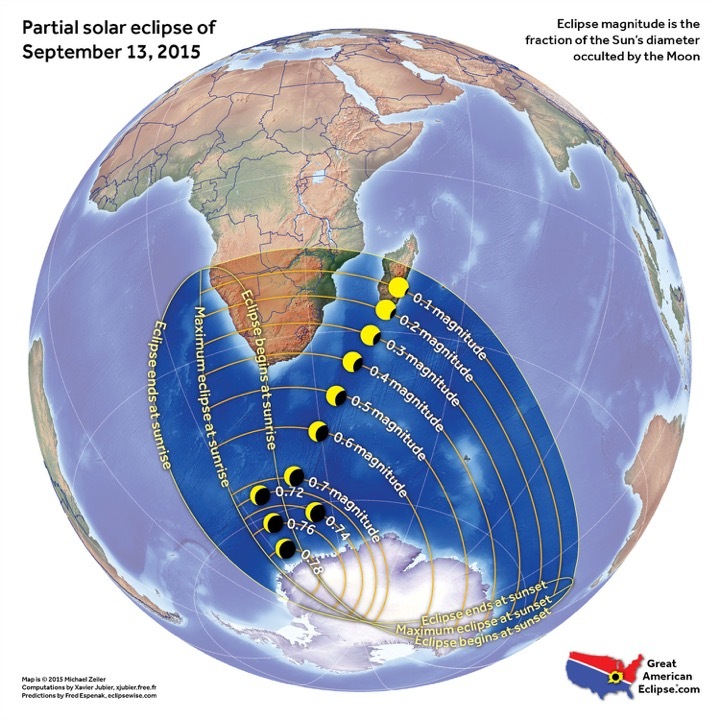 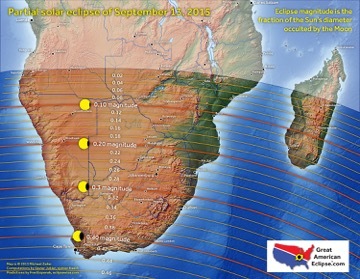 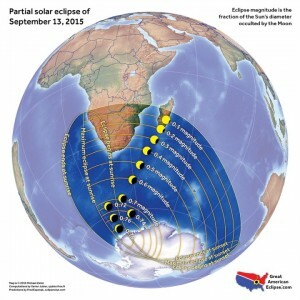 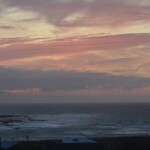 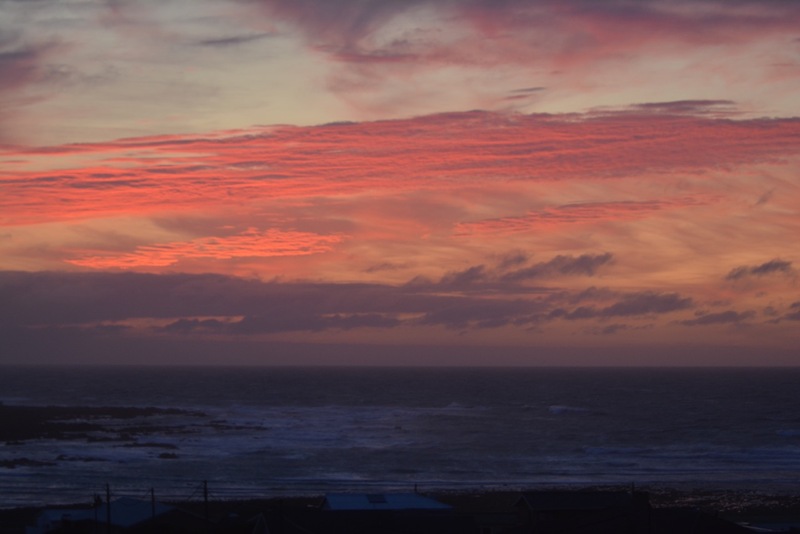 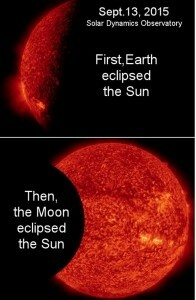 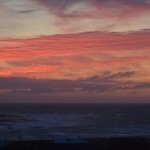 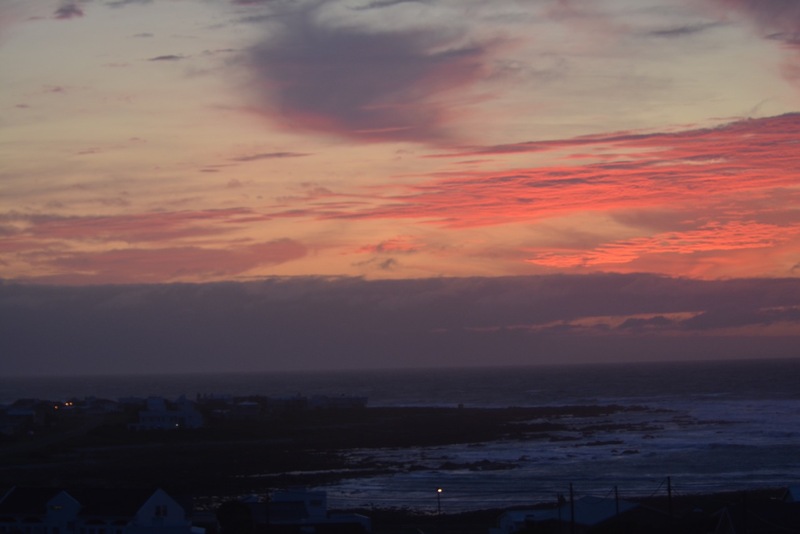 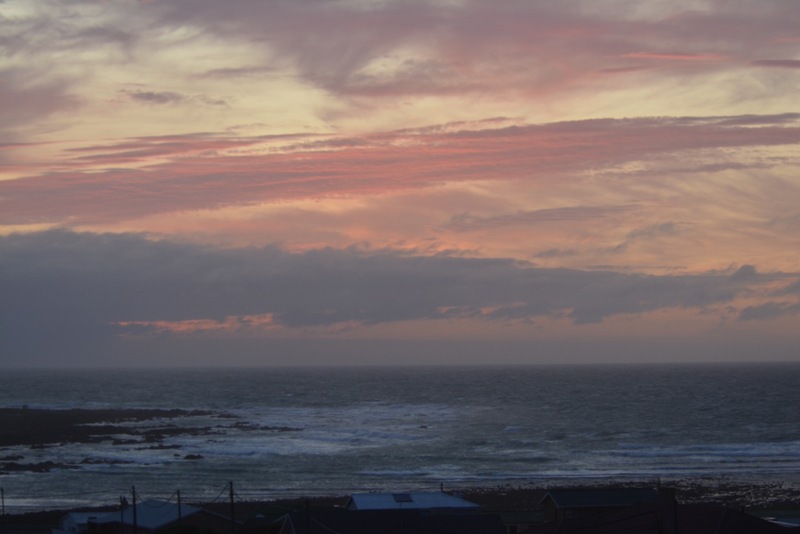 The partial eclipse was a maximum of about 78% in Antarctica, and the 43% coverage of the solar diameter by the moon that was viewed from L’Agulhas was the maximum possible on land outside Antarctica. The percentage coverage diminishes farther north in Africa, petering out about halfway up. 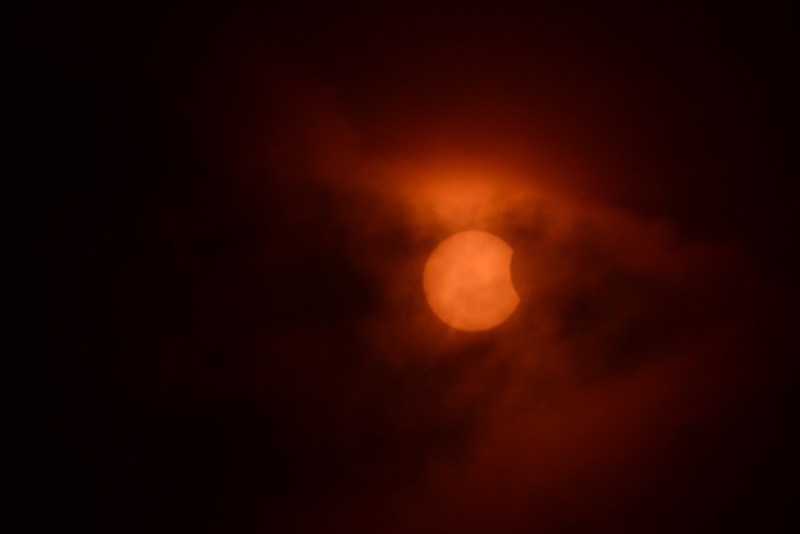 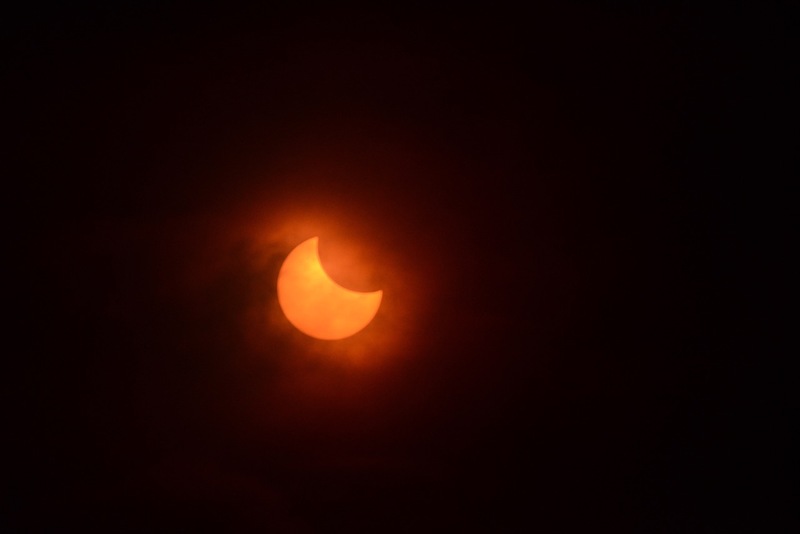 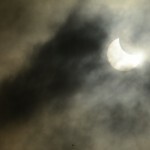 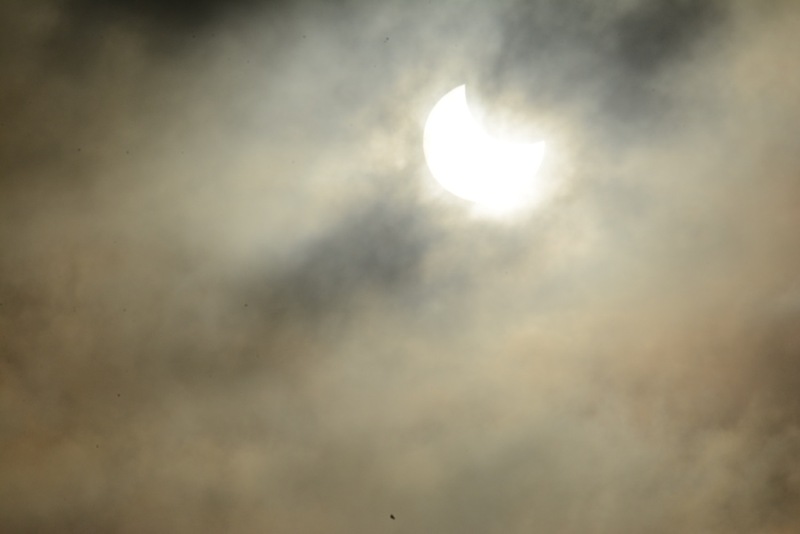 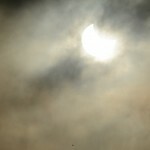 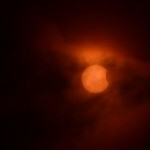 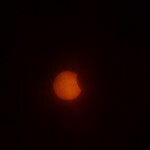 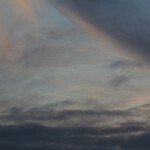 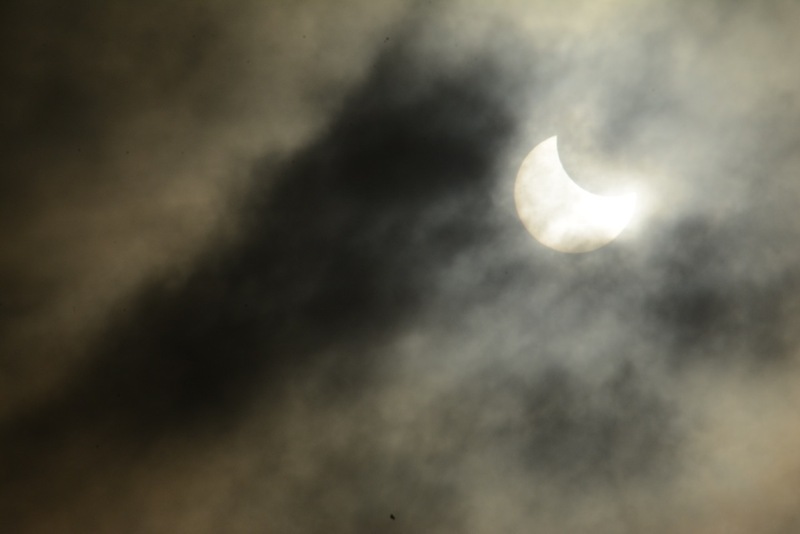 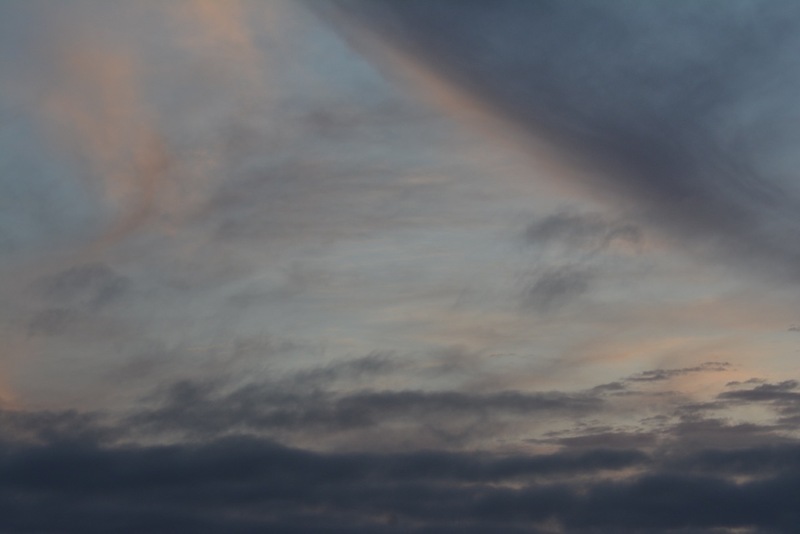 The sky was mostly cloudy but the eclipse was visible between and through clouds for most of the time, especially for a few minutes about 10 minutes in and then for most of the time from about maximum eclipse through the end. 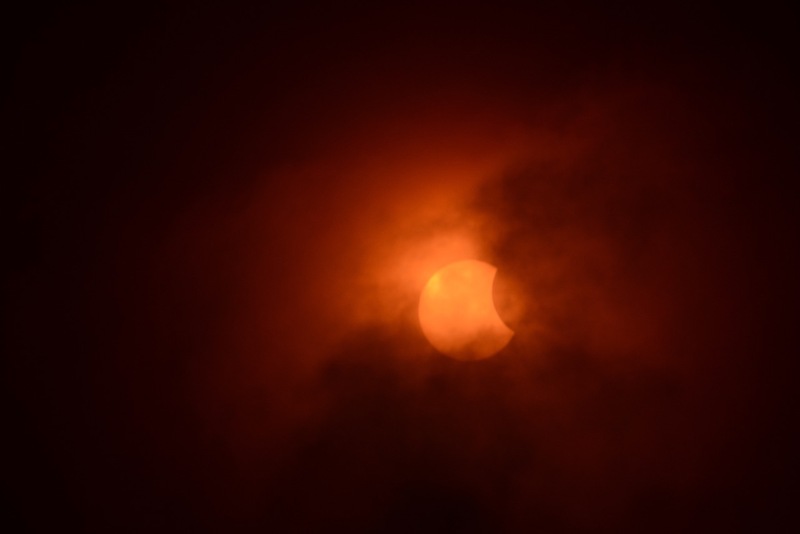 Occasionally, the cloud density was sufficient to allow the shape of the eclipsed sun to be visible without even a solar filter, providing the factor of about a million in absorption. 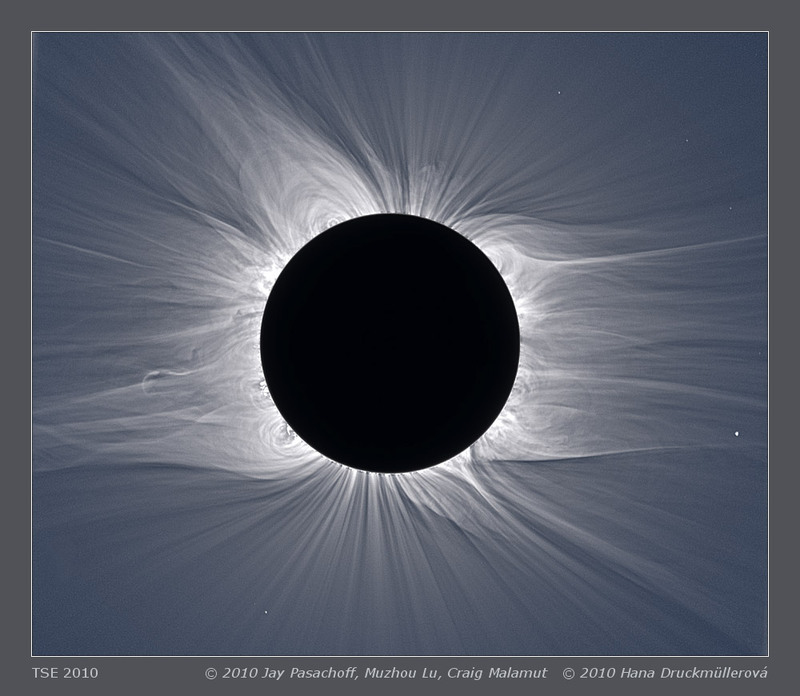 Views of the eclipse with the SunWatcher with Active Pixels (SWAP) instrument on the European Space Agency’s PROBA2 spacecraft, based at the Royal Observatory of Belgium with the project headed there by our alumnus Daniel B. Seaton ’01. 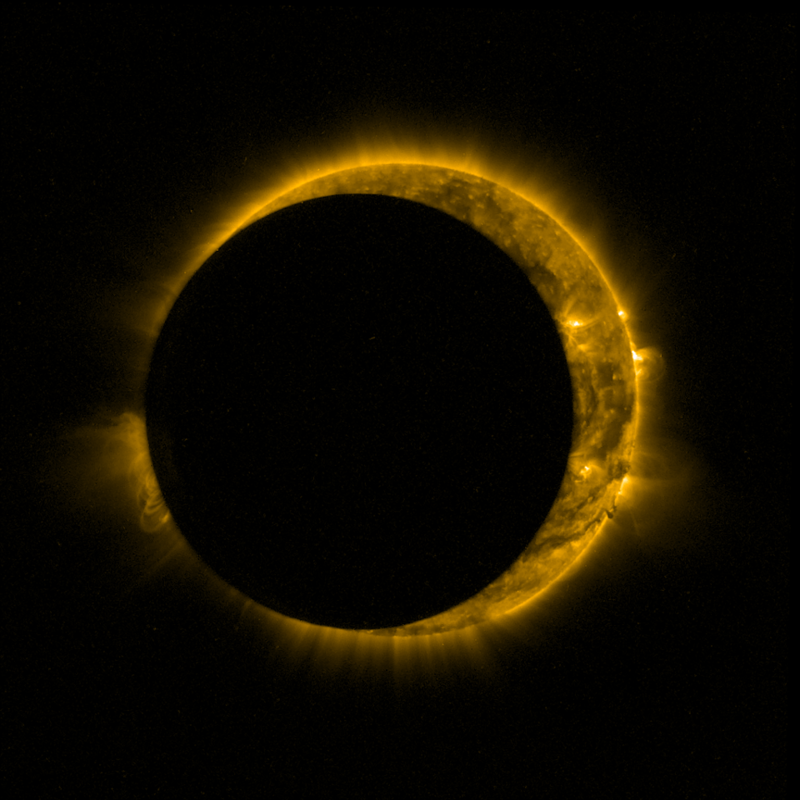 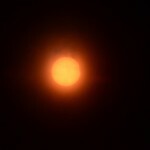 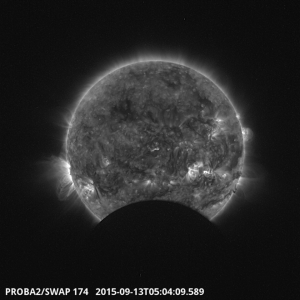 This website is maintained by Jay M. Pasachoff, Chair of the IAU Working Group on Solar Eclipses and Field Memorial Professor of Astronomy at Williams College, Williamstown, MA USA. 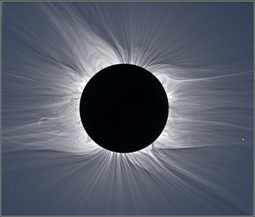 Professionals are invited to send expedition reports to eclipse@williams.edu.